ROBERT Lambert has revealed he would love to be back with the Tru Plant Stars in 2019! Lambert scooped two awards at the King’s Lynn Speedway Supporters Club ‘End of Season Party’ on Friday. The club’ captain has had a remarkable year on a personal level and the Stars’ supporters rewarded Lambert for his efforts, by voting him ‘Rider of the Year’ and ‘Team Rider of the Year’ for 2018. Lambert said: “It’s has really been an awesome season, I have really kicked on my performances and I am pleased with that because I never expected it to be such a good season. “I am really over the moon with how things have gone and to get ‘Rider of the Year’ here is a great achievement for me, and it wasn’t something I was expecting. “It has been an awesome season for me at King’s Lynn and also for the club so; it’s great to end it on a high like this. “I think at the end of the year we were really able to see me and Erik (Riss) were team riding really well, and I always try to team ride if I’m in the right position. It’s always a good feeling when you’re able to do that, and it’s always great to do it around the Adrian Flux Arena because it’s pretty easy to do around here. 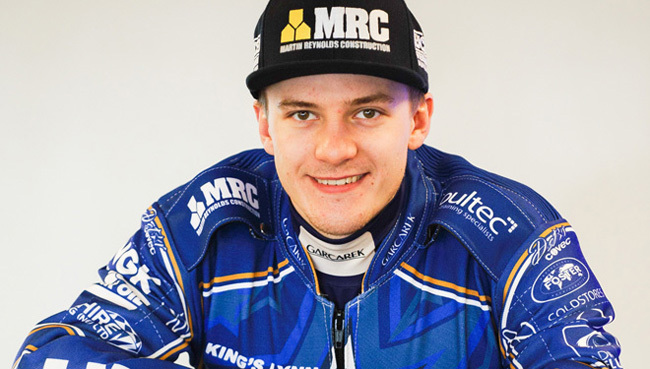 The 20-year-old led his team superbly, and he would like nothing better than being able to return to King’s Lynn next year. He added: “It was a team effort this year, we win as a team and we lose as a team. We just lacked a bit at the end in the play-offs with injuries and things like that, we fell away despite there only being a few points in it, the better team won in the end. Meanwhile, quietly-spoken Dane Thomas Jorgensen was voted ‘Entertainer of the Year’ and his fellow countryman Michael Palm Toft received the award for ‘Most Improved Rider of the Year’ after his excellent performances at reserve this season.